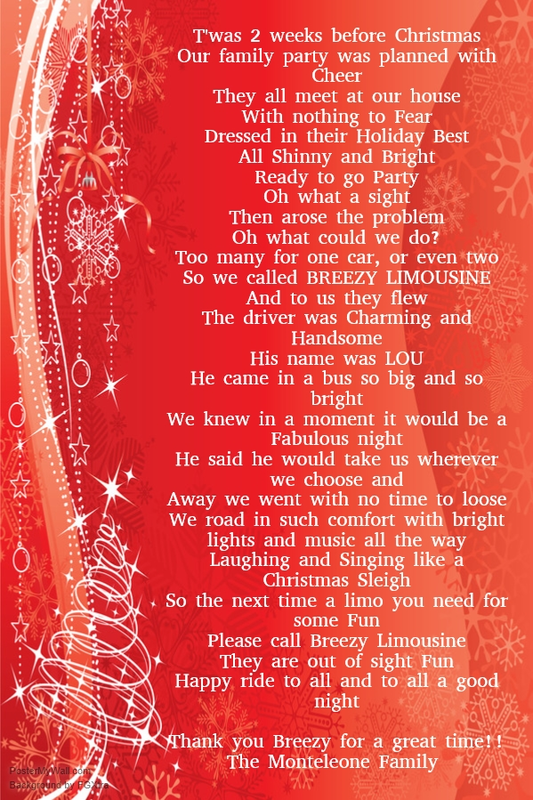 Feedback - Breezy Limousine Inc. Thank you! We all loved the ride! We were happy to meet Justin and had a very enjoyable time with him. Time just flew by! We had a great experience. Lou was great! Would definitely go with you guys again. Louis the driver was great. Kudos! the driver did an excellent job. I will definitely use Breezy again. The driver was excellent and very nice. The car was spotless. I will use you guy's again for sure. Driver was great! Had the car seats already set up for us. Overall, great experience.